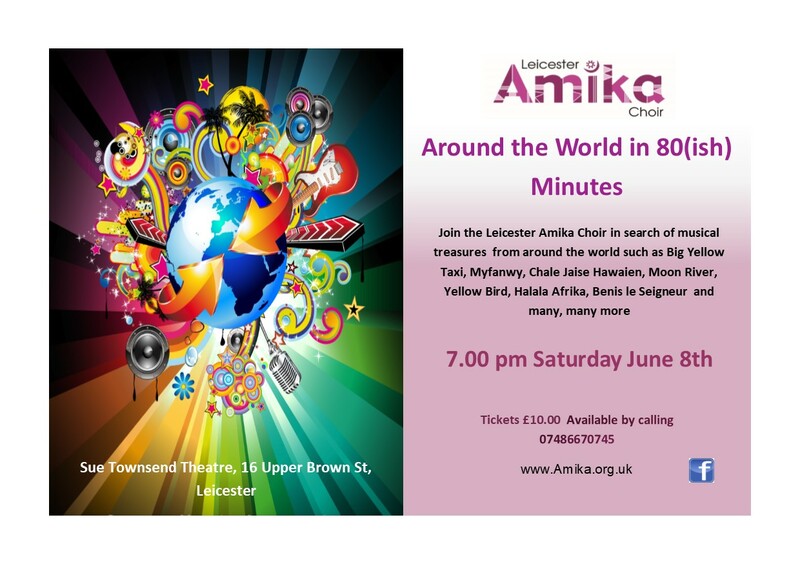 Amika is an open access, mixed group of enthusiastic singers who sing a wide range of World Music, under the leadership of our talented Musical Director, Una May Olomolaiye. We aim to put on our own concert each year, and sing at many other events, including Community Choirs Festival,(held in Stratford-on-Avon) Leicester Sing for Water, celebrations, weddings, funerals and fundraisers. You are welcome to join our practise sessions, even if you don't yet want to perform. If you would like to join us check out the Join Us link to find out more details.